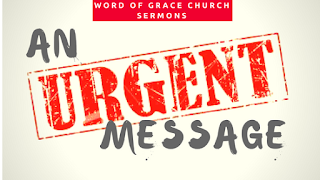 This message was preached by Colin D'cruz at Word of Grace Church on July 29th, 2018. To listen/download the audio please click here. To listen to the Sunday's worship and prophetic contributions please click here. We are looking at things that happened in the last year in Jesus’ ministry. Jesus started with 12 disciples but here we see that he sent out 72 others! Here we see Jesus’ instructions to the Disciples. What are these instructions? 1. The Prayer: The first instruction is to pray earnestly. When Jesus looks at the world, the millions in India, He says, “the harvest is plentiful”. What eyes are we looking with? We need to see things the way Jesus sees things. And then he instructs- pray to the Lord of the harvest to raise up more workers. Does God really need us to save the lost? No. A donkey spoke to Baalam. But the amazing thing about the all-powerful God is that He chooses to include us in His great work! He wants to reward us. We have an inheritance in heaven which you have to work for. Salvation is free, but the rewards depend on what you do. To serve Jesus doesn’t mean you leave your job and work full-time. Most people are called to your secular jobs because you are called to impact the people at your work place and where you live. 2. The Mission: Jesus said Go! We need engage the lost. The aim of going is to proclaim the kingdom. What you have with you is so powerful- the message of the gospel. With you is this gospel that will lead to peace or punishment. We are carrying something important. Someone’s eternal destiny is locked up in your proclaiming the gospel. Think about how many people are perishing every day. We have got to get out the message that is inside us. I want us to feel the weight of what we are carrying. 2 Corinthians 5: 9-11 “So we make it our goal to please him, whether we are at home in the body or away from it. 10 For we must all appear before the judgment seat of Christ, so that each of us may receive what is due us for the things done while in the body, whether good or bad.11 Since, then, we know what it is to fear the Lord, we try to persuade others. What we are is plain to God, and I hope it is also plain to your conscience.” There is going to be a judgement of rewards for believers. Our priority is to engage people in the gospel. 3. 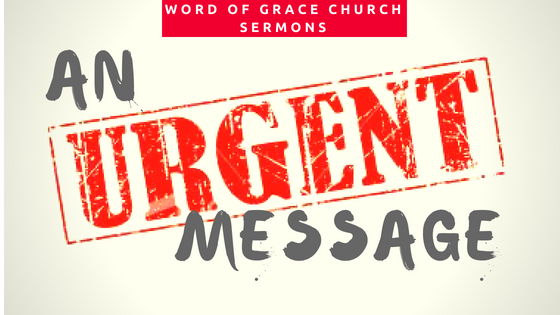 The Message: The kingdom of God is here. The way you validate that message is supernaturally- heal the sick and cast out demons. When we step out in faith God will come in. We validate our message with power. In verse 10 Jesus says, we go as sheep amongst wolves. It is not going to be all rosy and nice. There will be challenges, but we are going in His name and His authority. So if they reject you, shake the dust off your feet and move on. He says that it will be better for Sodom than for that city on the day of judgement. Capernaum is one of the cities where Jesus performed many miracles. These cities that have seen the power of God will be judged more severely on the day of judgement because they saw the miracles of Jesus and still did not repent. 4. Urgency: When I was first saved, I was so concerned about people’s eternal destiny. But years down the line, we just take it easy. But we need to look at it with the urgency that Jesus has. We don’t know when our friends, neighbours and colleagues will leave this earth and we don’t know when we will leave this earth. For those of us who have received the peace of God, we have a responsibility towards the kingdom. Jesus has given us all things to enjoy, but that is not end game. When we reach the day of judgement, what answer do you have? Don’t take it personally when people reject you because they are rejecting Jesus. So let’s pray, let’s go with the message of peace with urgency!